The 5G Blacklist helps reduce the number of malicious URL requests that hit your website. It’s one of many ways to improve the security of your site and protect against evil exploits, bad requests, and other nefarious garbage. If you’re tired of all the slow, bloated security plugins and expensive 3rd-party services, the 5G Blacklist is a solid solution to help protect your Apache-powered site. After extensive beta testing, the 5G Blacklist/Firewall is solid and ready to help secure sites hosted on Apache servers. In addition to beta testing for the 5G, this is the 5th major update of my “G”-series blacklists. Here is a quick overview of its evolution. Along the way, I’ve explored a wide variety of different blacklist techniques. 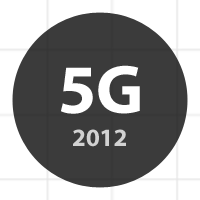 The 5G is the culmination of all these efforts, and will eventually be replaced by the imminent 6G Blacklist/Firewall. The 5G Blacklist is a simple, flexible blacklist that checks all URI requests against a series of carefully constructed HTAccess directives. This happens quietly behind the scenes at the server level, saving resources for stuff like PHP and MySQL for all blocked requests. The 5G works beautifully with WordPress, and should help any site conserve bandwidth and server resources while protecting against malicious activity. That’s the golden ticket right there. The 5G Firewall is serious protection for your website: extensively tested, plug-n-play, and completely free. “Grab, gulp, n go” as they say. For more information, see the beta article (and comments). I’ve installed the 5G, thanks Jeff. Removing that line resolves the issue, thanks me. Is it okay to remove rules that are blocking your own pages? Yes, the only downside is that malicious requests that would have otherwise been blocked will now get through. The 5G will continue to block a massive volume of malicious requests — it’ll just be a bit less effective. The protective effect is cumulative, not dependent on any one rule. So customization is encouraged. Once you dial it in, you’re all set. The 5G Firewall is provided “as-is”, with the intention of helping site administrators protect their sites against bad requests and other malicious activity. The code is open and free to use and modify as long as the first two credit lines remain intact. By using this code you assume all risk & responsibility for anything that happens, whether good or bad. In short, use wisely, test thoroughly, don’t sue me. To learn more about the theory and development of the 5G Firewall, check out my articles on building the 3G, 4G and 5G Blacklist. A search for “blacklist” in the sidebar should also yield many results. Have you seen ZB Block? Yep, looks cool but I haven’t tried it yet. I replaced it just in case as suggested but have not confirmed any problems myself. Is this true? Near the end of the article there is a “fix” for 5G/WP until the issue is resolved at WP’s end. I’ve been having sporadic trouble with the G5 blacklist on some of my wordpress sites. The problem is in the admin screen. Many of the interactivity functions stop working. The ‘edit visibility’ link no longer expands that section. The boxes that expand and contract other edit sections no longer operate, and the media upload modal box will not pop up. Thanks for this feedback. I’m currently updating my plugins and then immediately jumping into the next 5G/6G update. Will investigate this and try to resolve at that time. Note: commenting out any of the 5G rewrite rules (as opposed to rewrite conditions) works because it disables the entire preceding block of code (not just one line). I get a 403 in my admin area. If I comment any or all of the other RewriteCond lines, the problem persists. I didn’t used to have this issue with the G5 blacklist. I think the conflict must be with one of the recent WP updates. My current .htaccess file contains the following code. Do I replace this code with the 5G code or do I append the 5G code please? You’ll want to leave the WP rules in place, and then add the 5G after. Test thoroughly and make sure the query-string rules are working. If they’re not, place the query string rules before the WP rules. I appended the 5G code. I noticed my site which is hosted on GoDaddy servers is a LOT faster now. Is that the normal outcome after loading the updated htaccess file with the 5G code in it?